October 2009. After a whirlwind summer in the States, we returned to Israel and found ourselves living in a beautiful Jerusalem apartment. We were four or five months away from becoming first time parents and we loved to open our home up to our friends. 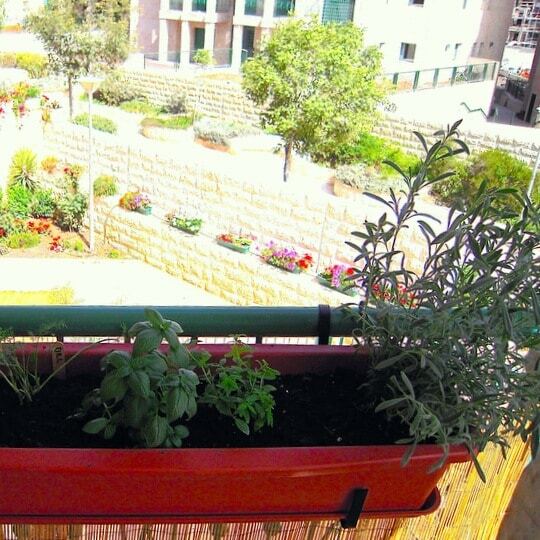 We would cook with the fresh herbs we grew on our balcony. We’d shop for fresh produce in the Machaneh Yehudah market, also known as the Shuk, and when the weather permitted, which to be face it was almost every day, we’d walk the three minutes to the Tayelet and let our dog run around while we at dinner overlooking Jerusalem’s old city. Somehow, while living in our small two bedroom apartment, my wife managed to my birthday gift, a gift I’ll treasure for the rest of my life, for three whole months. My hand painted was imported by a lady in Jerusalem who made a living by visiting Morocco a few times a year, and flying back with hand-made tagines. 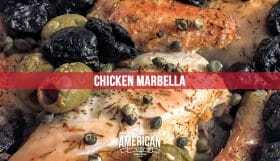 It’s oven safe, unlike those often sold in the US for presentation, but not preparation, and like my wife infers in that YouTube video, it makes a mean roast chicken. It also makes amazing lamb. The first thing I made in this tagine was Moroccan spiced lamb chops and the flavors came alive with every moist, juicy bite. Fast forward five years, we’re living in Kansas City, and mother’s day is around the corner. 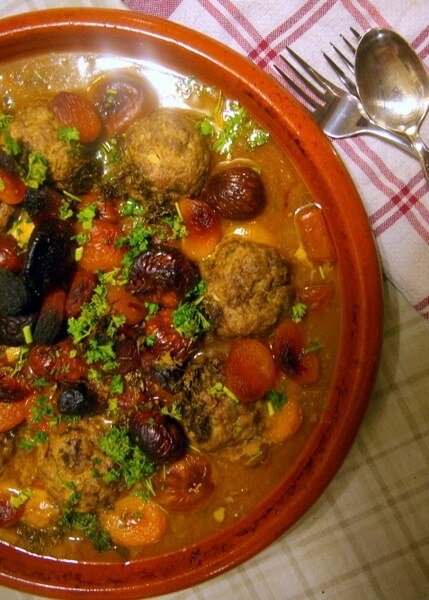 What better dish to make my wife on Mother’s day than a Moroccan Lamb Tagine, so I decided to make lamb and beef meatballs and cook them, with apricots and figs, in a beef stock. 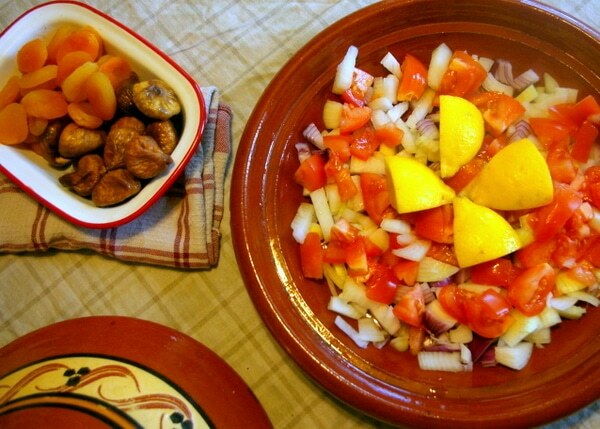 Moroccan cuisine will often bring flavor from dried fruits, preserved lemons and spices laike cinnamon and cumin. 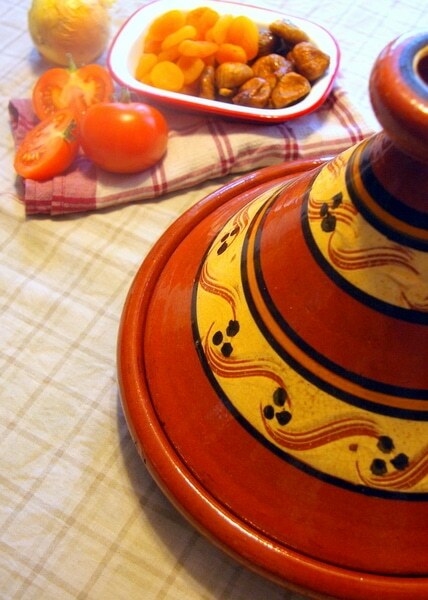 I simply loaded the tajine with a selection of these Middle Eastern flavors and cooked it in the oven for 45 minutes. 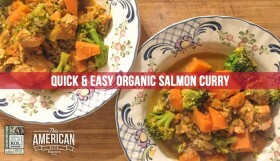 With it being Mother’s day, I wanted to serve the very best meat I could get my hands on, which is why this recipe is filed away with all my KOL Foods recipes. The meat, fish and poultry that I get from KOL Foods is the best meat, fish and poultry that I have ever tasted. The flavor is outstanding, and I can feel good about the meat I eat knowing that it’s 100% organic, pasture raised and free of hormones. 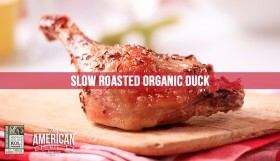 Unlike other meat, it’s not pumped full of water so it weighs more when it’s sold. It’s honest, and delicious, every single time. 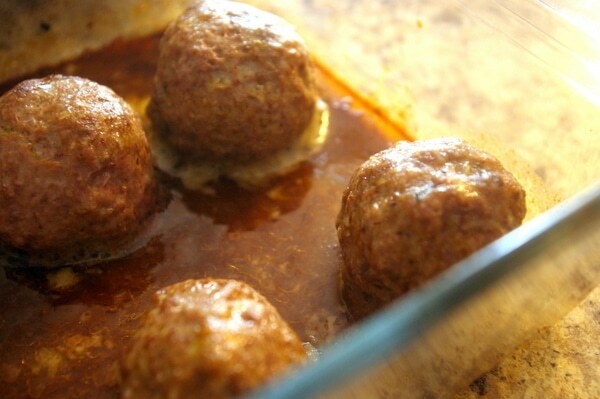 I found that my tagine only had space for eight meatballs, so I baked the remaining meatballs with a touch of beef stock and was able to add the to the tagine when it came time to serve the dish. 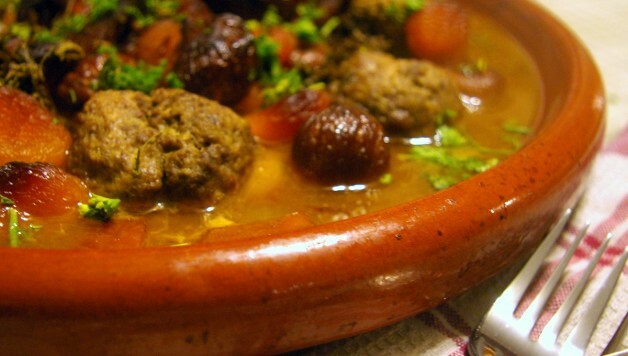 Enough about the tajine, here’s the recipe. If you don’t have the privilege of owning a hand made, hand painted, Moroccan tagine, a dutch oven or a braiser will work just fine! Mix the beef and lamb with the almond meal, egg, cumin, cinnamon, garam masala and tumeric and form meatballs the size of golf balls. 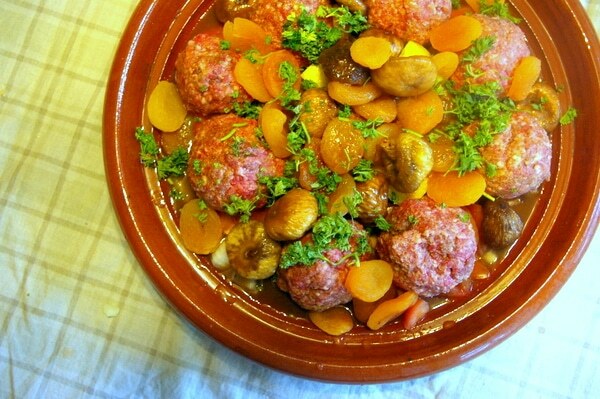 Put the meatballs in the tagine with four pieces of lemon, the figs and apricots. Pour two cups of beef stock into the tagine. 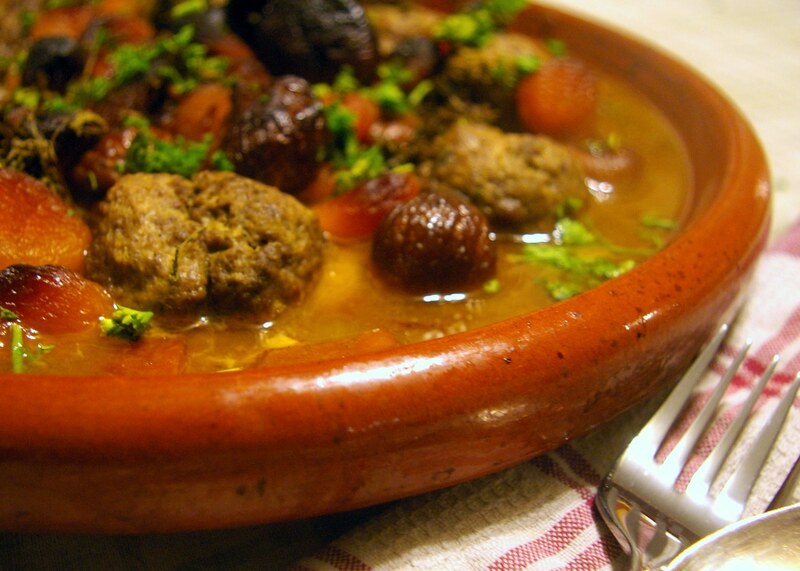 If some of your meatballs will not fit in the tagine, you can bake them separately in the oven; 30 -45 minutes at 375 degrees. Cover the tagine and cook at 375 degrees for 45 minutes.